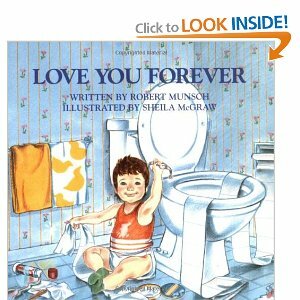 Two of my favourite picture books that I read to my three children are Love you Forever by Robert Munsch and The Runaway Bunny by Margaret Wise Brown. I loved them for a truth they communicated about how much a mother loves her child. 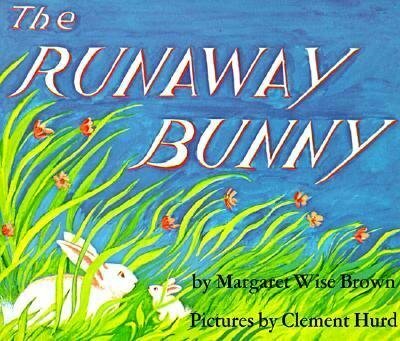 In the Runaway Bunny, the little bunny wanted to run away, but his mother tells him she would run after him because “you are my little bunny”. How do we show our children that we love them? And I mean unconditionally love them? Or do they feel loved only when they have pleased us? When they have been good? Do we love our children in the same manner that God loves us? Unconditionally. Without reservation. To be perfectly honest, this is one of the hardest jobs I have ever been asked to do. I think it would be easier to go bungy jumping and sky diving than to love my children in the same manner that God loves me. If unconditional love was not modelled to you as a child, then it is even more difficult. It is easy to leave home, go to bible study, church or play group and put on a bright friendly smile, race around like a headless chook and come home totally exhausted to our children with no reserves left to deal with their needs and demands. Our children need more than us telling them with words that we love them and apologies for our tiredness and grumpiness – yet again. I am always challenged by how much God loves me: “How great is the love the Father has lavished on us, that we should be called the children of God!” 1 John 3:1 or look at Psalm 103 in which the love of God for his people is expressed clearly. This is our role model and we can pray that God will fill us with this love for our children day in and day out. If you are struggling with loving your children, take time to remind yourself of God’s deep and unconditional love for you by pondering the words of this Psalm. In Paul’s letters to the Corinthians, he says something to his readers that is rather interesting. He is clearly frustrated by their behaviour and is strongly rebuking them and he then says: “What do you prefer? Shall I come to you with a whip, or in love and with a gentle spirit?” (I Cor 4:21.) Our children are children and by definition will behave childishly, irritatingly and annoyingly – constantly and the challenge is to not meet it with aggression, anger and harshness but with love and a gentle spirit. I don’t know about you, but I find this a hard call. You know what? It doesn’t get easier as your children grow older. Their behaviour changes and what will drive you crazy will change, but it is still a challenge. Do they feel loved only when their hair is neatly brushed, their rooms are clean and sparkly and when they are dating someone who is Christian, or when they achieve well at school? What message do we communicate to our children with the words we say to them – especially when we are disappointed with their choices and actions. Keith often says to me “Sarah, take a deep breath and keep your mouth shut.” Sounds easy? It isn’t – let me tell you. One of the wisest parenting gurus I know is Ross Campbell and he has written a number of books that explain in practical ways how to love our children with unconditional love. I was given a copy of his book How to really love your child when Michael was four weeks old. It is short, easy to read and I read it in one sitting and then returned to the beginning and read it more slowly. Amazingly, it provided me with the tools and strategies to show my tiny baby that I loved him, and amazingly, he is now almost 24 and it still provides me with the tools and strategies to show him, now a fine young man that I love him. I don’t know of many parenting books that last this time span. There are three ways we can demonstrate to our children that they are loved. We can use eye contact – looking directly into our children’s eyes – and not just when we are cross with them, physical contact – which will vary depending on age – cuddles, hand on shoulder, ruffled hair, back massage, and focussed attention – time alone with each child in which you do something just with them and you give them your undivided attention – your mobile phone is switched off, you are not giving them continual partial attention but your full attention. Doing these things regularly with each of our children fills their emotional tanks and communicates that we love them. 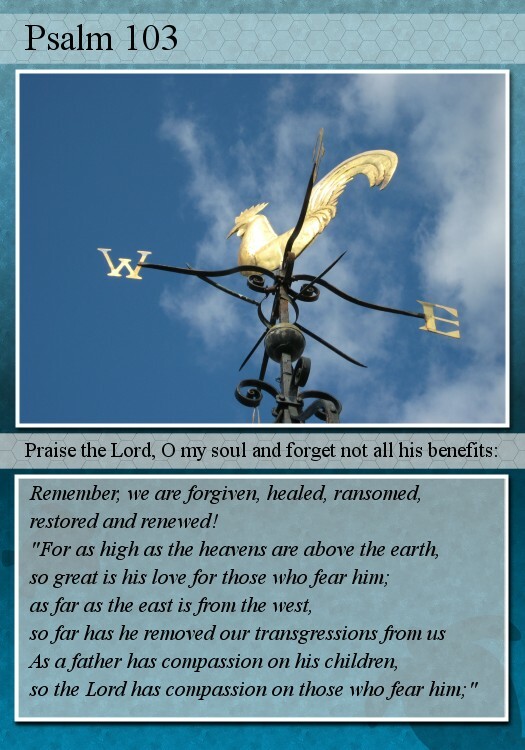 I have made a postcard based on Psalm 103 – a good place to start might be to reflect on God’s deep love for you and remember all the times he does overlook our flaws and disappointments and failures. This entry was posted in Parenting, Priorities of a wise Mum and tagged motherhood. Bookmark the permalink.